The movement to online networking means Austin business owners have more contacts than perhaps ever before. Those virtual connections, however, have greater impact once they are confirmed through an in-person meeting. 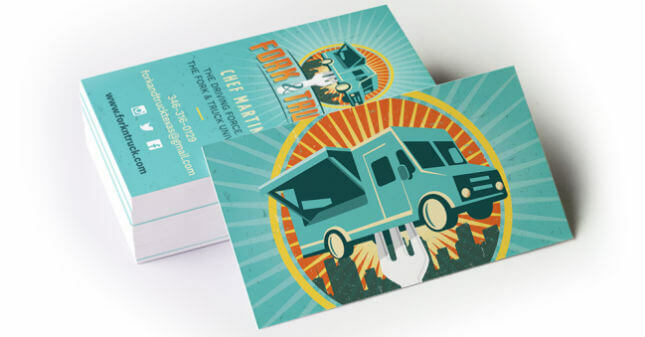 MARION, the noted Austin marketing and design firm, produces Austin business cards for companies and individuals who know that simple slip of thin cardstock can lead to professional growth and advancement. The network-savvy sales agent, entrepreneur, recruiter or job candidate routinely carries around a few business cards to hand to a new contact at a moment’s notice. Traditional networking events would involve gathering huge collections of business cards to place in Rolodexes on large oak desks. Now, the process has more impact because fewer cards are distributed. In an age when everyone sends email, a business card stands out. MARION’s marketing team designs business cards to suit your corporate or personal brand. Entrepreneurs searching for manufacturers or distributors may wish to distribute the cards during site visits, to remind the other party whom they met and how to get in touch to continue the conversation. When job candidates, such as new professional school graduates, want to stand out, they may offer their card to employers. At a job fair event, passing on a business card that outlines a candidate’s name, resume highlights and ambitions can set them apart from the pack — especially when a “cocktail party” is a significant part of the recruiting activity. As a well-respected team of creatives in Austin’s marketing and design community, MARION’s business card staffers work with you to get the right look and feel for your business card. Our in-house graphic designers will provide options for font, text density, content and logo. The weight and finish of the business card, from smooth and glossy to textured and traditional, is another important detail we’ll help you consider. As part of an overall branding strategy, your Austin business card should be a reminder of who you are, what your business is, and why new contacts should choose you. Ready to learn more? Contact MARION today for a free consultation.